Players Cove Lely Resort Condos: Come explore this stunning former builder's model being offered Turnkey Furnished at Players Cove in the award-winning community of Lely Resort. This spacious three bedroom plus den second-floor residence is set lakeside and features the exceptional finishes you would expect in a builder's model. Players Cove is located across the street from the popular Players Club and Spa which features thirteen tennis courts for the competitive or casual player, two resort pools, a lap pool, bocce ball courts, full-service spa, fitness center, full-service dining with an indoor/outdoor bar plus tiki bar. Call today for your opportunity to own one of the best-appointed residences in Lely Resort. Players Cove Lely Resort Condos: C.16071. Must see! Enjoy gorgeous lake views from this beautiful 3 bedroom 3 bathroom Players Cove condo in Lely Resort. Located across from the Players Club and Spa which offers three pools, a fitness center and spa, a tiki bar,13 tennis courts, an active tennis program, pickle ball, bocce courts, restaurants, a theater room, a card and game room and more. Enjoy morning sun in the breakfast room and sunsets from the front balcony. Features include a large two-car garage, pre-wiring for an elevator, a lanai enclosure to keep the lanai clean and dry, crown moldings and plantation shutters throughout, and a wet bar with beautiful cabinetry. Lely Resort also offers 2 public golf courses and one private golf course. Come and enjoy the Resort lifestyle! Players Cove Lely Resort Condos: Spectacular long lake view!!! This home is located just across the street from the BEST amenity center in Southwest Florida, The Players Club and Spa.This beautiful condominium is one of the best Lely Resort has to offer. This beautiful 2nd floor condo in Players Cove is a spacious 2,743 square feet with 3 bedrooms plus den and 3.5 baths. Upgrades include: high impact glass doors/windows, large Master bath & shower, island-style kitchen, granite counter tops and upgraded stainless steel appliances. You must see this home to fully appreciate the amazing view! Players Club and Spa which features thirteen tennis courts for the competitive or casual player, two resort pools, Plus a lap pool, bocce ball courts, full-service spa, fitness center, full-service dining with an indoor/outdoor bar plus tiki bar. Lely Resort live your Dream!! Players Cove Lely Resort Condos: TURNKEY, PRICED TO SELL - with spectacular sweeping lake views in Players Cove. 2014 built, 3 BR+DEN, 3 BA, open-concept 2nd floor lake front condo with numerous upgrades and accents. Open-concept floor plan with lake views from the kitchen, master suite, lanai and den. Master suite featuring an over-sized walk in closet, separate tub and shower, and dual sinks with a full vanity! The condo is complete with an eat-in kitchen with island and breakfast bar, a two car garage, screened-in lanai, formal dining room with tray ceiling and a wet bar with built in wine cooler. Lely Resort has three championship golf courses, two public and one private equity. 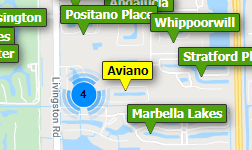 Lely is just minutes from the beautiful Naples beaches and the highly desirable Fifth Avenue Shopping District. Players Club & Spa members and their families can enjoy the numerous impressive amenities: including three resort style pools, thirteen tennis courts, a luxurious spa and fitness center, as well as formal and informal restaurant dining. Throughout The Club there are various gathering rooms for billiards, computers, social gaming and movies. The very active social program includes classes, clubs, socials, and much more. Players Cove Lely Resort Condos: Enjoy the amazing waterfall view from this highly upgraded second floor condo. Home has a PRIVATE ELEVATOR for easy access. The waterfall and landscaping are lighted at night for viewing from your expansive balcony. High end furnishings are included for buyers enjoyment. Kitchen has granite counters, stainless appliances, and custom lighting. Bar has granite counters, wine cooler and wood cabinets for glass storage. Tile on the diagonal in the living area and carpet in the bedrooms. Hunter Douglas window treatments both manual and electric. Impact glass windows for complete storm protection. Crown molding through out the home. Wonderful large storage room for all the extra belongings. Players Club membership includes one lap pool and two beautiful lagoon pools, 13 tennis courts, Tiki, fine restaurant, fitness center, spa, and an extensive social calendar. Lely Resort offers one private and two public golf courses. As a Lely resident you will truly enjoy the friendly, relaxing, vacation lifestyle the community has to offer! Players Cove Lely Resort Condos: Exceptional Coach home in Players Cove at Lely Resort. This 3 BD/3 BA +Den condo is located right across the street from The Players Club & Spa, a luxurious fifteen-acre tropical retreat with many pools, poolside tiki bar, 13 tennis courts with court-side café, Pickle ball and bocce courts, fitness club and classrooms and an extensive social calendar. The 30,000 sq. ft. Clubhouse has a restaurant, a billiard room, a computer center, cards and game room and a theater. There is even a Dog Park for Fido!..... The Den is currently used as a bedroom. The kitchen features black granite counter tops and a central island. There is also a wet bar area. The common areas and the staircase were done in Brazilian Mahogany. The kitchen, laundry and bathroom floors are tiled and carpets cover the bedroom floors. Lely has a private and 2 public golf courses..... Lely Resort is geared to the Active members of society who are looking for the finest luxuries and a carefree lifestyle. Signature Club Lely Resort Condos: If you are looking for a truly exceptional property, you need to look no further. No detail has been overlooked in this highly upgraded lower floor end coach home showcasing fantastic lake and fountain views. You will enjoy plentiful natural light throughout this immaculate home featuring 2 bedrooms,Den, 2½ baths, 2-car garage, large screened lanai, gorgeous tile, impact windows, high end lighting and fans, and more. This residence has an open great room floor plan with a beautiful kitchen with premium cabinetry, upgraded stainless appliances, wall oven with warming oven plus Beautiful Quarts Counters. An excellent layout where each bedroom has its own bath and numerous additional upgrades throughout. Great location convenient to all. Amenities such as fitness, tennis, pickle-ball, restaurant and Tiki bar. Two public and one optional private golf course. Just 15 minutes to Old Naples and only 15 minutes to Marco Island. Champions Lely Resort Condos: PLAYERS CLUB OPTIONAL (not mandatory). Beautifully remodeled and upgraded 2nd floor unit with all new appliances. New stainless steel Samsang appliances -- stove, refrigerator with ice maker, dispenser in door, dishwasher, microwave and disposal. New LG washer and dryer. A/C 3 years old and water heater 2 years old. Kitchen has 42" wall cabinets with crown molding. Sunny breakfast nook with 8' bay window. This 3 bedroom, 3 bath, 2686 sq ft unit lives like a single family home. Master Bedroom features two closets and a 10" bay window with sitting area. Master bath has enlarged shower with frameless shower door, dual sinks, linen closet and skylight. The private elevator ensures a quick ride to the unit with no carrying items up stairs. Interior features vaulted ceiling, 8' interior doors and quartz counter tops. From the two car attached garage, you enter the downstairs foyer for elevator or stairs access. The Champions amenities are air-conditioned clubhouse, heated swimming pool and spa, private gated community all set in a friendly and active atmosphere. Player Club is optional and one can join when and if one is ready. Interior photos coming Monday or Tuesday. Champions Lely Resort Condos: This well maintained and tastefully furnished second floor end unit is in an ideal location at The Champions offering both lake and golf course views. The low density complex of The Champions is located in the gated section of Lely Resort called Mustang Island. The condominium offers a huge floor plan with two bedrooms and a den/dining room, three bathrooms, an expansive bonus room which works as a separate guest suite, an elevator, and a two car garage. Players Cove Lely Resort Condos: Gorgeous Lake View Condo! 3 bedrooms 2.5 bath, 2100 sq. ft. Beautifully maintained and decorated like a model home. Desired spacious floor plan. Newer wood flooring in Large Master Bedroom and guest bedrooms. Custom closet in Master. Tile floors on diagonal throughout main areas. Fabulous light fixtures. Lovely Bar area great for entertaining. Spacious Lanai with serene lake view. Laundry room w/lots of storage space and sink. First floor living and design feels like a single family home. Attached large two car garage with built-in storage, impact glass windows. FURNITURE NEGOTIABLE! Located on a Cul-De-Sac. Players Cove is located directly across the street from the Award Winning Players Club & Spa which offers several indoor and outdoor dining choices, two resort style pools, lap pool, Full fitness center w/ fitness classes,13 Tennis courts, Bocce and pickel ball. Resort also offers a private golf club, The Classics and 2 public courses, The Flamingo and Mustang along with a public clubhouse and restaurant. Easy drive to Naples, 5th Ave., 3rd Street S, Bayfront, Tin City, Naples Pier and renowned Naples Beaches. Close to Marco Island too! See Video! Champions Lely Resort Condos: 3rd Price reduction motivated seller. Amazing million-dollar view for half the price. Rarely available 2nd floor coach home overlooking lake and 18th green of Mustang Island Golf course, private elevator, newer AC (2014), cathedral ceilings, worry-free impact glass and doors, and custom window treatments. Master bath includes roman tub, separate shower, his-and-hers vanities. Kitchen includes morning room with 8-foot bay window, hi-grade granite countertops and island, plus a walk-in pantry. Pocket door off kitchen leads to dining room; additional pocket door off hallway leads to guest bedroom suite w/separate bath plus laundry/up graded storage room. A short walk to Champions Clubhouse w/heated pool and jacuzzi. Property is furnished and turnkey - just bring your bathing suit and/or golf clubs. The Players Club & Spa (available but not mandatory) offers 3 resort pools with waterfalls, chickee huts, full-service dining, indoor-outdoor bar, bocce courts, 13 tennis courts, full-service spa & fitness center plus the friendliest tiki bar in town! Lely Resort has 3 championship golf courses, two public and one private with no mandatory memberships. Players Cove Lely Resort Condos: Beautiful first floor luxury condominium with serene views of comforting waterfalls and large landscaped area. This three bedroom (third room can be used as den or bedroom), two and one half bath condo is nearly 2100 Square feet and has an attached two-car garage. The upgrades and are extensive and high quality they include Impact resistant doors and windows throughout, custom paint features, upgraded appliances and tile. Located directly across the street from the world class Players Club and Spa this home is truly a must see! Legacy Lely Resort Condos: This is Florida living at it's absolute best! Don't settle for an lesser view when you can have an Amazing Southwest Lake-views from your Beautifully decorated Luxury Coach Home. This 2nd floor unit has a private elevator which will lead you to the Expansive siding doors that open wide to extend the Great Room to watch the sunset reflecting off the Lake. This pristine three bedroom and three bath home has upgraded granite counter-tops, large 18" diagonal tile, two master suites, Impact storm protection, volume ceiling, a custom built-in bar with two wine coolers all in a very spacious 2686 sq ft. This is the reason you choose Lely Resort, the 8 time winner of "Community of the year"! With 13 Tennis courts, 6 Bocce courts, 3 pools that include a 22' Waterfall also 3 Championship Golf Courses round out this amenity rich lifestyle. Naples was voted Happiest and Healthiest place in the USA again and Lely Resort could be the reason! Legacy Lely Resort Condos: Beautiful second-floor coach home within the gated community of Legacy at Lely Resort with large panoramic golf course and lake views. Come enjoy an immaculate nicely appointed large 3 bedroom, 3 bath + den unit with private elevator. Additional upgrades include tile, custom paint, stainless steel appliances, new Samsung washer/dryer, window treatments, fans, custom mirrors, granite countertops, closet shelving, security system and more. Lely Resort has three championship golf courses, private membership if desired and of course The Players Club & Spa. Legacy Lely Resort Condos: Magnificent 2nd floor condo with long lake view. Expansive sliding doors that open wide to extend the great room area onto the lanai. Many upgrades including a central vac system. BRAND NEW AC and AIR HANDLER!! Just painted and garage floor epoxy finished. Short distance from impressive community pool and clubhouse. Well maintained, gated community with beautiful landscaping. Includes membership access to the first class Players Club and Spa nearby. PRIVATE ELEVATOR. . .
Saratoga Lely Resort Condos: SPECTACULAR sparkling lake views from this almost 2500 sq. ft., second floor condominium in gated Saratoga, within Lely Resort. 3 bedrooms, den, 3 bath with private ELEVATOR. Plenty of natural light streams through this open and spacious, split floor plan. You will love the view from the lanai. Volume ceilings and a second master suite or use as media room. This beachy condo is a must see with serene and expansive views, furnishings, plantation shutters, nice light neutral tile and new carpet in bedrooms. The kitchen features a breakfast area with views and an island with storage, and is open to the living area and beyond to lanai. 2 car garage, bonus storage closet in garage with shelving. Beautiful community pool and clubhouse for social events and sunning. Lovely curb appeal, pretty neighborhood. Low fees here and membership to the top notch Lely Players Club is available but not Mandatory. Must see! Million dollar resort lifestyle for less than 1/2 the price. Must See! Ole Lely Resort Condos: ON THE PRESERVE!! RARELY AVAILABLE. ENJOY PEACE AND SERENITY WITH ONLY A SHORT STROLL TO THE CLUBHOUSE. THIS BEAUTIFULLY MAINTAINED LAGUNA MODEL CASITA FEATURES THREE BEDROOMS, THREE FULL BATHS, LOFT AREA AND 2 CAR GARAGE. PROFESSIONALLY DECORATED AND FURNISHED. THIS IS A FREE STANDING HOME. OLE IS A UNIQUE COMMUNITY WITHIN LELY RESORT THAT OFFERS ITS OWN RESORT STYLE POOL AND CLUBHOUSE, RESTAURANT, FITNESS CENTER, AMPHITHEATER, MOVIE THEATER, TENNIS/PICKLE BALL COURTS AND LANDMARK FOUNTAINS. LELY RESORT FEATURES THREE GOLF COURSES AND IS JUST MINUTES FROM AREA BEACHES, MARCO ISLAND, RSW AIRPORT, GROCERIES, SHOPPING AND THE 5TH AVENUE DINING DISTRICT AND SO MUCH MORE!! Legacy Lely Resort Condos: Enjoy the Panoramic Lake views from this beautiful bright and spacious 4 BDR 3 Bath Coach home with private elevator! The kitchen features granite counter tops and offers plenty of storage space and a breakfast bar. The kitchen is overlooking the great room, creating a nice open concept for entertaining. Sliding glass doors in the great room lead you to a large screened-in lanai where you can relax and enjoy the breathtaking views of the lake. The Master Suite with water view has large walk-in closets, two vanities, soaking tub and separate shower. This home is currently the only 4 BDR set up on the market, only available in three of the upstairs units in all of Legacy Circle! It also has an attached 2 car garage. Legacy is a gated community at Lely Resort and located on the Mustang Golf Course. Ownership includes membership in the newly-expanded and award-winning Player's Club & Spa with world-class amenities. A short drive to downtown Naples, Marco Island and I-75, Lely offers an amenity-rich lifestyle and is home to three championship golf courses (two public and one private) and lots of exciting new restaurants and shopping in the area. A must see! Hawthorne Lely Resort Condos: Stunning upstairs corner unit with private elevator close to Players Club and Spa. This spacious and open floor plan is situated on a beautiful lake and fountain with a south western exposure. Three bedrooms and three baths plus a den provides exceptional living space for friends and family. A 4th bedroom is easily added to become 4 BR plus Den. Numerous upgrades included diagonal tile, designer kitchen and upgraded carpet. Exceptional lot, open with lake view. Duel zone A/C for bedroomsThis home was a former Bateman model home. Perfectly located in the Classics, walking distance to shops, restaurants, and all Lely Resort amenities. Minutes to Marco Island and Old Naples beaches. This home is a must see. Saratoga Lely Resort Condos: Best Lely Resort location! Saratoga is located next to the Players Club and Spa for easy access. Also, Players Club and Spa is optional to join in Saratoga. This contemporary pristine 3 bed/den condo offers a beautiful wide lake view with beautiful Florida sunsets. It has a spacious 2,496-square-foot living space. Some of the features are walnut hardwood floors, granite countertops, stainless steel appliances, plantation shutters and two master bedrooms. Shows like a model and is easy to see. Although Players Club and Spa membership is not required, it is the BEST amenity center in Southwest Florida. There are 2 tropical swimming pools, 1 25-meter lap pool, 6,000-square-foot exercise room, 2 aerobic rooms, 13 Har-Tru tennis courts, bocce ball and pickleball courts, restaurant, tiki bar, game room and so much more. In addition, there are 2 public golf courses, the Mustang and the Flamingo courses and 1 private course, the Classics, to choose from. Hawthorne Lely Resort Condos: The Hawthorne community at Lely Resort is located inside the Classics Plantation Estates subdivision and within walking distance to the Players Club & Spa. Pet-friendly with NO weight limits on dogs. Imagine living in this 3 bedroom plus den 3 baths 2nd-floor end unit with private elevator and Turnkey Furnished. The living room is open to the balcony with serene west sunset views. The master bedroom is bright with large windows featuring the beautiful back yard. The master suite features dual sinks, large soaking tub, walk-in glass shower, and custom mirrors. There is an oversized second master suite complete with sitting area and private bath. The third bedroom and den are split design and offer privacy for your guest. The indoor laundry has a sink and built-in counters. Lely offers an amenity-rich life lifestyle with 3 championship golf courses. The newly expanded Players Club & Spa includes 13 tennis courts, 3 resort-style pools, beautiful indoor & outdoor dining, expansive fitness center & spa, all in 30,000 square feet of luxury. Champions Lely Resort Condos: Enjoy living in Lely Resort, one of Naples' premiere communities, without any mandatory club fees. Membership to the Players Club is optional. This spacious condo has fairway and lake views. Currently the only available first-floor unit in the Champions, it offers the rarely available bonus room for a total of 2,270 Sq.Ft. living area. The condo features two bedrooms, two baths, plus 254 Sq. Ft. bonus room/den. Currently set it up as an open play/sleeping area for the grand children, the space could also be divided into a third bedroom and den (view attached floor plan). The large living/dining area is open to the spacious kitchen with island and walk-in pantry. An additional 11' x 9' storage area can be used as a small office. Impact windows and doors add peace of mind and reduce energy costs. Lely Resort offers two public Championship golf courses and the private Classics golf course. The Players Club's top-notch amenities include formal and casual dining, two resort-style and one lap pool, 13 tennis courts, pickle-ball and bocce courts, a state-of-the-art fitness center with daily fitness classes, a full-service spa and numerous social events throughout the entire year. Ascot At Lely Resort Lely Resort Condos: This is what you've been waiting for. There is no other unit like it in Ascot. This home shows like a model with $75,000 in STUNNING upgrades, with a FABULOUS LAKE VIEW and WESTERN exposure. Amazing second floor coach home newly RENOVATED, GORGEOUS white KITCHEN with QUARTZ counter tops, BRAND NEW FURNISHINGS. Diagonal tile throughout the living area, VOLUME ceilings, new carpet in bedrooms, PLANTATION shutters, quality CROWN MOLDINGS, AND BASEBOARDS. Full Player's Club & Spa membership in LELY RESORT offers you a resort style pool with waterfalls, full service spa, lap pool, hot tub, 13 tennis courts, bocce courts, state of the art fitness center, pool side tiki bar, full service dining and more. Lely Resort also offers a private golf course and two public courses. Ascot is only a short drive to the beautiful beaches of Olde Naples and Marco Island, and to 5th Avenue downtown Naples. Ascot is a pet friendly community, dog park near by. Ole Lely Resort Condos: C.15889 - This popular Escondido 4 bedroom/3 bath model floor plan shows beautifully! The interior of the home offers tile on the diagonal in the kitchen and wood flooring in the expansive living room and master bedroom along with plantation shutters and crown molding. The open and airy kitchen joins the living and dining room for a centralized gathering place along with granite countertops, stainless steel appliances and a breakfast nook for additional seating. Equally impressive, is the close proximity to the OLE amenities! This resort-style community offers beautiful grounds, fountains, a tropical pool, separate children's pool, state-of-the-art fitness facility, tennis, library, internet café, pub & restaurant, movie theater, an amphitheater, ice cream parlor & coffee shop. Lely Resort is home to 3 PGA golf courses with the ability to pay as you play and OLE is a pet-friendly community! Need professional assistance selling your property at Lely Resort Naples? Find out how an Area Specialist can help to generate more property exposure in order to get the most money for your investment in the least amount of time.